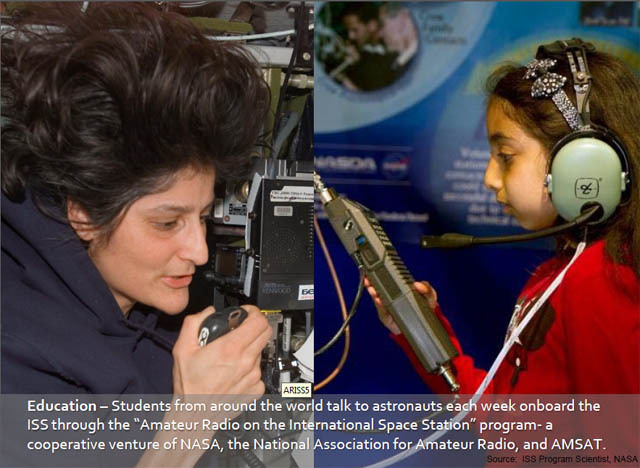 Mike KC8YLD has posted some guidance as to when the Amateur Radio stations on the ISS would be turned off. Current flight rules require all the ham radios to be off during an EVA. Technically, the VHF radios needs to be off for Russian EVAs and the UHF radio needs to be off for US EVAs. For dockings and undockings, again the ISS operates under a flight rule that has the VHF/UHF radios off for Progress, Soyuz and ATV vehicle activity. Note that Cygnus, Dragon, HTV and formerly the Shuttle did not require the radios to be off. For Ham TV, it will be off for any EVA. It needs to be off for ATV (the last one November) docking and undocking. It also has to be off when the Robotics arm is in close proximity.